Qsonic PLL/VCO, excellent bass response, fast lock! The new MAX PRO 8015+ FM exciters are fine-tuned, optimized and improved version of MAXPRO7015. They bring even better S/N ratio and MAXLINK II interface for easy no-soldering wiring to the new SE8000 DSP+ stereo encoder. They feature 15W of very clean power, QSonic VCO/PLL subsystem and everything else the previous 7015+ model had to offer. Exciter carries a one year limited warranty on parts and labor against defects in materials and workmanship, except the RF final transistor. You can find the manual for this (and other products) here. How is MAXPRO8000 series better than MAXPRO7000 series? - MPX cable no longer needed for connection to new stereo encoders (Such as SE8000 DSP+). - Further Improved S/N ratio across the band, designed for maximum spurious signal rejection (>80dBc). Some high-end customers appreciate this feature. Depending on operating frequency dBc can be >95dB down relative to the carrier. - Self-resetting electronic PTC fuse (no more pesky fuse replacements). What parameters can I change via remote control? Its best that you look at the screen capture below. The program may change over time as we make enhancements, we will be adding more features soon! Feel free to ask for any features you may want. 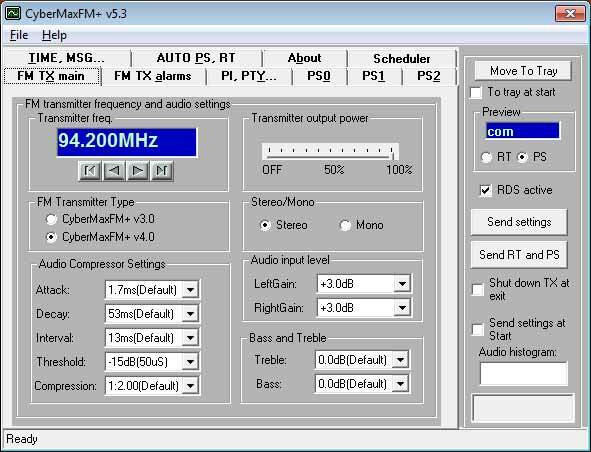 Can I upgrade my old CyberMaxFM+ 15W transmitter with new exciter? Sure, just exchange the boards, take the 5000+ out and replace it with 8015. - RF Output Power: 0 to 15 Watts, LCD power adjustment range can also be limited to 0-1W, 0-2W, 0-3W, 0-4W ... 0-15W, 0-full, this is done with a jumper (exact options vary depending on model). What is the Predrilled LCD front panel? - This is a rectangular piece of aluminum with predrilled holes for LCD display, button and LED diodes. It also has 4 holes in the corner so you can easily mount this to your case. This makes it much easier to mount the transmitter into a nice looking case (eliminates the hard work with the LCD). This is of course an optional item. What is that switch with LED diode? MAXPRO8015+ is delivered without ON/OFF switch, there is a jumper that can be removed and connected to the switch. This is the switch we use in our 19" racks, it also has a built-in LED diode for better effect. Instructions on wiring this switch are shown on the main board. This is of course an optional item. What is the RS232 IO board and why do I need it? 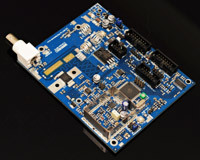 IO board is required, if you want to control MAXPRO8015+ remotely via RS232. It plugs into the LCD control module. RS232 cable is not included. What is the IO board with 3x BNC connectors and why do I need it? 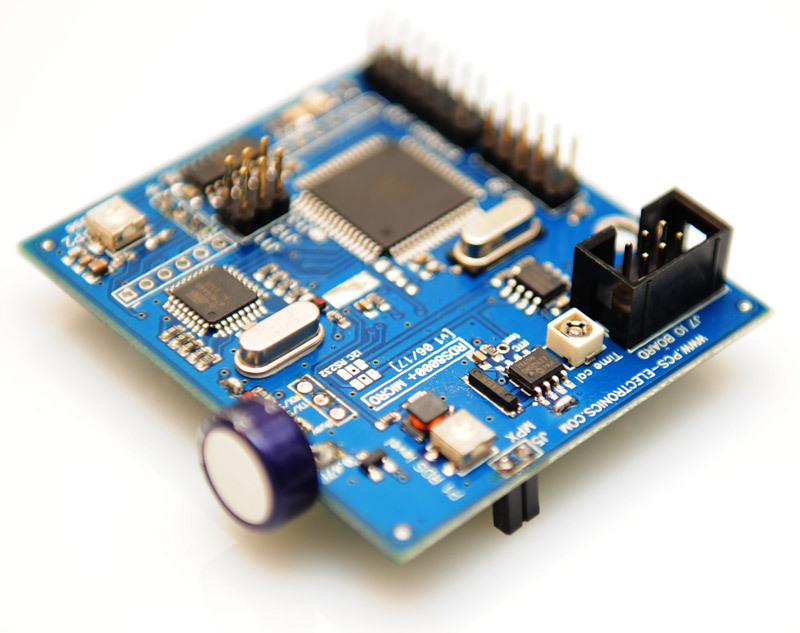 IO board is required, if you want to control MAXPRO8015+ remotely via USB, RS232 or GSM. The module plugs into the LCD control module. USB/RS232 cable is not included (standard cable is available everywhere). The three BNC cables can be used for MPX in, MPX out and 19KHz when used with stereo encoder. Optional item. What is the Ethernet remote control module for? This add-on card lets you connect this transmitter to the PC via Ethernet network. You can control and monitor the status of your transmitter over Ethernet or Internet. This is of course an optional item. What is the GSM remote control module for? This module plugs into IO board (RS232) and lets you control and monitor this transmitter via GSM phone with SMS messages or Android app. This is of course an optional item. 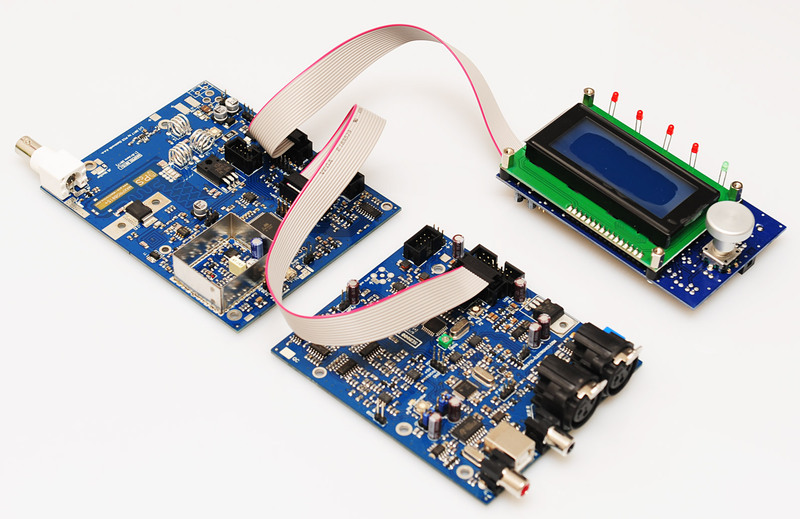 What is the Software+IOBOARD for changing logo? This is a combination of special unlocked version of software and RS232 IO board, which is required to control MAXPRO8015+ remotely via PC/RS232. It plugs into the LCD control module. Software lets you change welcome text (logo); you can replace that text with your company name for example. Your customized text will be saved and used at every power-up. This is of course an optional item. What else should I buy to construct a big 500W or 1000W or higher transmitter? - Any of these pallets here, a power supply for these can be purchased here, don't forget a filter(LPFMAX series is ideal). - Stereo encoder, any of these will do. SE8000 is ideal due to MAXLINK II. - Use teflon RG142 50 ohm coax for internal connections inside your rack (teflon coax is easier to work with, it does not melt when hot). Make sure all coaxial cable leads are very short. To look for a suitable antenna check: here. To look for a suitable coaxial cable check: here. 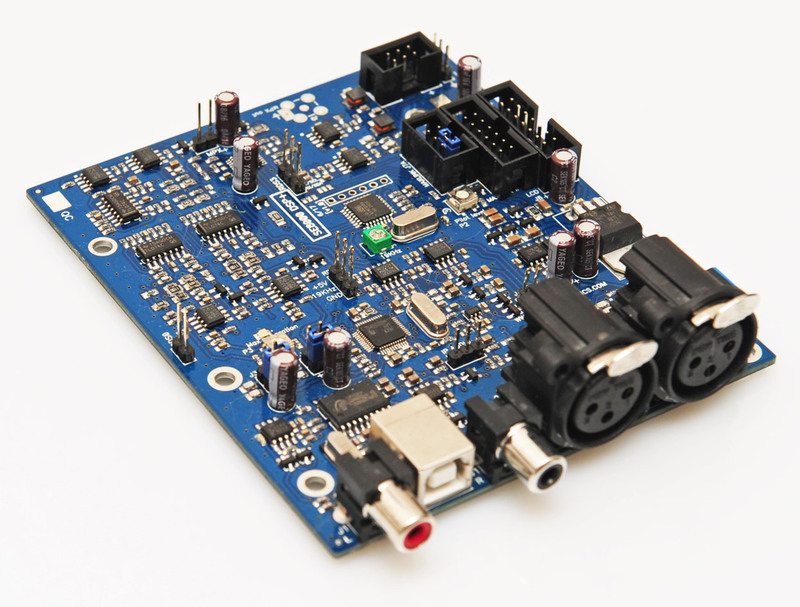 To look for a suitable stereo encoder check: here. To look for a suitable case check: here. This product was added to our catalog on Monday 20 November, 2017.